Somethings are just better left unsaid, like why do all the bald birds hang out together and not with a fully feathered bird and its mate who is a worm. 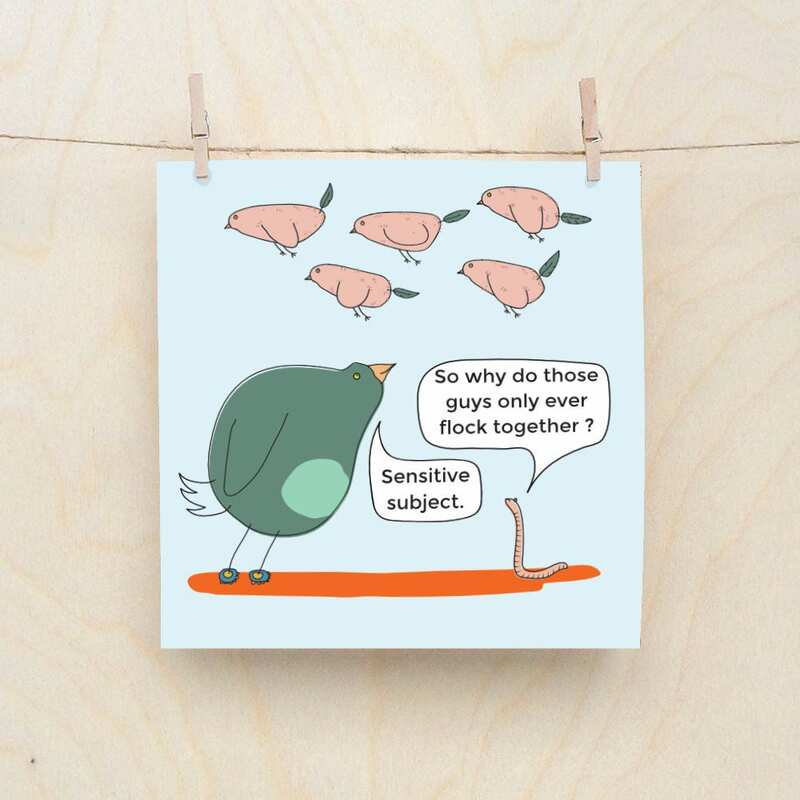 Amusing greetings card printed on 148mm x 148mm 380gsm card. Professionally printed. comes with envelope in cellophane wrapper. Shipped in Jiffy bag.